Gourmesso is the premium online retailer for Nespresso compatible coffee capsules and is relatively new on the UK market. The company was established in Berlin, Germany in February 2013 and has been enjoying a massive success since then. Currently Gourmesso is the market leader in Germany for Nespresso compatible capsules and is successfully operating in France, Spain and UK. The key to Gourmesso’s success is the combination of high quality coffee, prepared from the finest Arabica and Robusta beans, offered at a price unmatched by any of our competitors and more than 30% cheaper than the original Nespresso capsules. The company currently offers 15 different blends and is constantly looking to stretch that number by adding no less than 5 new blends each year. The high number of coffee variations that Gourmesso offers is yet another distinctive advantage of the company as opposed to the other Nespresso alternative manufacturers. A full list of machines compatible with the Gourmesso coffee capsules can be found on their website. 4. 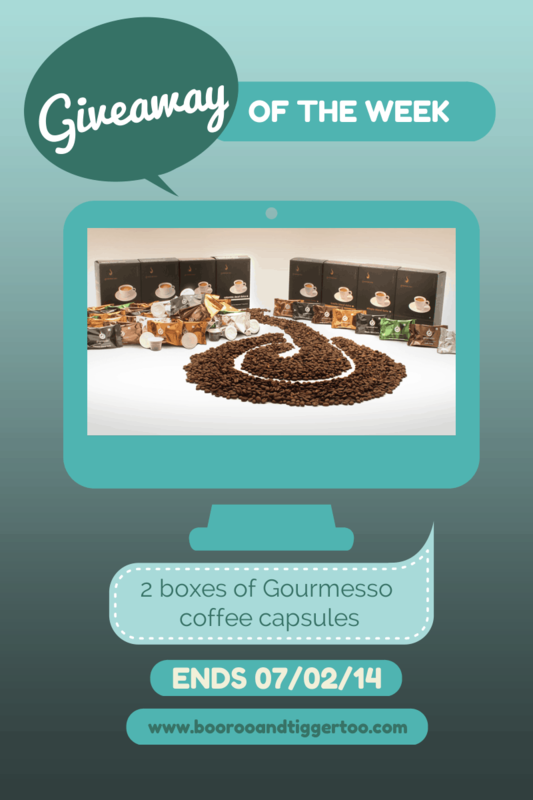 One entrant shall win 2 boxes of Gourmesso coffee capsules of their choice subject to availability. I like the sound of the caramel! Would like to try the organic SFCC house blend and the Ristretto Blend Forte too! I think its great that other companies are taking on nespresso, as I am limited to choosing from only a selection of blends and its nice to have the option of Organic coffee too, so I will have to see if it tastes as good! No coffee = no work getting done! The Lungo Latino Mezzo would be great to try. Fabulous.